My adult children complain that we never took them camping. I am not a fan of hard ground, cold temperatures or bugs! I am not too happy to hear noises and worry about being invaded by some animal making its way into the campsite. Give me a comfy hotel and I am happy! If I hear noises of room service, it will not worry me! There is no roughing it in a tent like the one pictured. 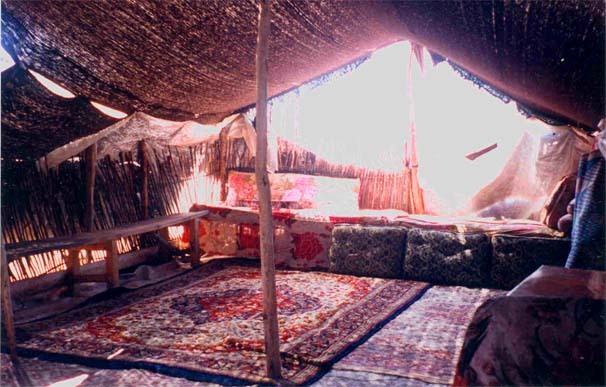 The rich thick rugs below look comfortable and the thick tapestries that form the ceiling keep things dry and cozy. I imagine that the nomad lifestyle prevalent in David’s day had the best ideas for tent living. In our verse for today is a tent that is sacred and set apart. It represents God’s presence. The context describes enemies surrounding the tent. They are looking to devour, just like wild animals. But the one who trusts in the Lord is unconcerned. In God’s tent or temple there is confidence and safety. Inside that tent there is no fear. Instead there are shouts of joy! There is music and singing! God protects His children and fills their heart with joy. Trusting in Him I have no fear. What can mere mortal man do to me? (Psalm 118:6) My soul is at peace as my eternity is forever secured. I can lift the flap of that tent and peek out at my enemies. Or, I can turn my eyes to gaze on His beauty! Thank you Lord, that whatever this day brings, I can rest confident in Your presence. Categories: Faith and Trust, God's Strength and Power | Permalink. This was a common sight when our son was quite young. 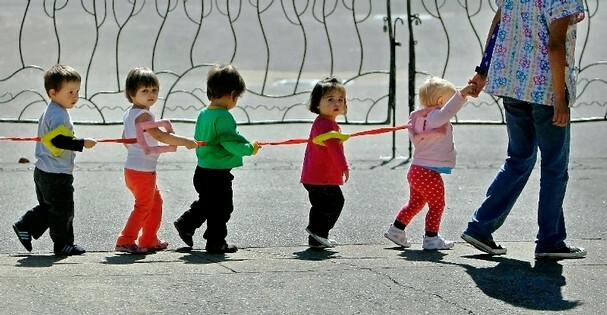 The French preschools would often use a tether to keep young children in line. The “monitrice” could not hold everyone’s hand. Without that tether those little ones were tempted to go in all kinds of directions. All it took was one little distraction for a child to wander off. The tether insured that they would all arrive safely to their destination. Of course, the system would fail if one of those little hands decide to drop the tether! Our verse for today describes a fool whose eyes wander away from what is wise. Wisdom is the tether that keeps the discerning person from wandering. The fool is easily distracted away from wisdom. The adulteress in Prov. 5:6 is wandering aimlessly and does not even know it! The love of money causes one to let go of the tether and wander from the faith (I Tim. 6:10). It is so easy to be like sheep, following the wrong shepherds. We wander all over the mountains and forget our resting place (Jer. 50:6). We are told that Christ is the wisdom of God (I Cor. 1:24). Holding on to Him is wise. The problem is that I am “prone to wander…prone to leave the God I love.” I am so easily distracted. I drop that tether to go check something out and end up going in the wrong direction. He wants to direct my paths. When I trust in my own understanding or ideas, I wander off that path. Lord, keep me discerning enough to hang on to You! I have never seen pigs fly or tread water! But I suppose that treading water is instinctive for most animals. Otherwise there are only two choices; sink or swim! With treading water you are going nowhere, just trying to keep the head above water. Staying stationary may look like there is no progress but at least there is survival! From the surface all can seem calm and unruffled, but underneath the water is churning with frantic movement to stay afloat! Our verse for today tells us that we are blessed or happy when we persevere. During the tragedies that Job experienced, he never let go of his faith. It seemed as if his trials would overwhelm him, but he persevered, keeping his head above water. However, he had to wait. What the Lord did to recompense Job did not happen immediately. The Lord finally brought about a wonderful change in his circumstances. Meanwhile, Job was treading water to stay afloat. It can seem as if we are making no progress in a sea of problems. It can seem as if we are stationary, going nowhere. Sometimes all I have going for me is keeping my head up. God, in His mercy and compassion, will eventually move on my behalf. He will either change my heart or my circumstances. And when He finally does, I am blessed in a way that would not have happened otherwise. I can trust that everything happening to me will be resolved by His mercy and compassion. Thank you Lord, that You will help me persevere! Categories: Faith and Trust, Hope, Suffering and Trials | Permalink. 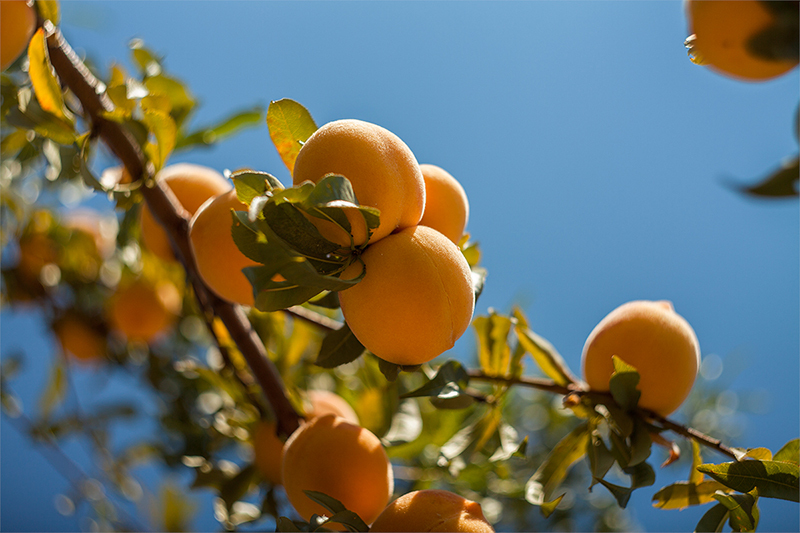 Have you ever wondered why some pieces of the exact same variety of fruit vary in size? My first thought is sun exposure or better access to water. But size difference can also be attributed to cross pollinating. Whether a tree is self-pollinating or not, its fruit can be bigger and better and its yield more impressive when there is cross pollination. But one needs two different cultivars of the same fruit tree; for example Red Delicious with Fuji apple. Two exact same trees in close proximity do not improve the fruit. Our verse for today admonishes believers to get along with one another. There were reports of quarrels in the church in Corinth damaging their reputation or “fruit.” The local church brings together such a diversity of people that there are bound to be differences of opinion. Even though different varieties are thrown together there is to be fruit from our unity and cooperation. Of course there are differences in our politics, education, preferences and backgrounds but they are not to divide us. When believers can actually work together, we enjoy a wonderful yield. The world sits up and takes notice when we can show respect and love to one another (John 17:23). We live up to being associated with the name of our Lord Jesus Christ! Standing close and united, our differences make our fruit bigger and better! Lord, regardless of our differences, keep me one with other believers for Your name’s sake! Categories: Testimony, The Body of Christ | Permalink. This idyllic image does not quite represent my waitressing experience! Customers were often indifferent if not downright surly. My feet were likely to be sore and my arms tired, making the serviceable smile difficult to maintain. About the only good memory I have of those long-ago days were the tips! I have a special place in my heart for the waitress having been in her shoes! 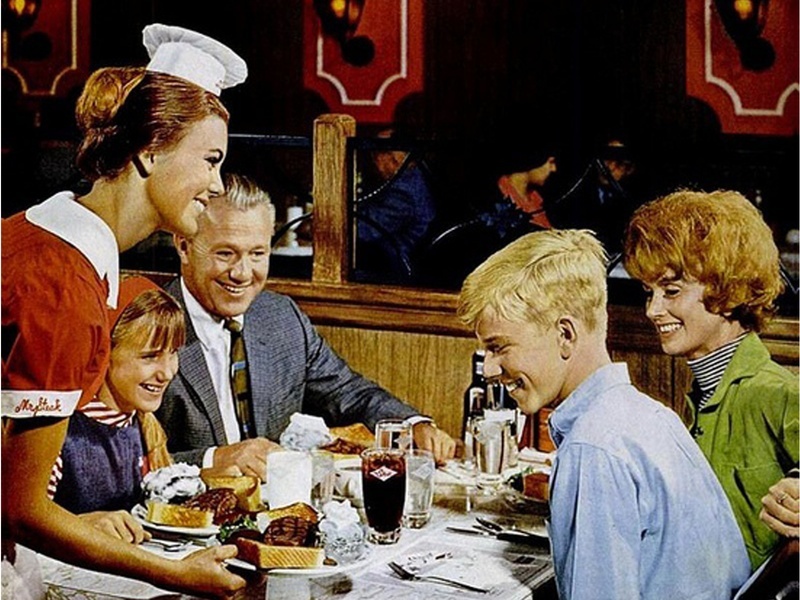 Whether a flight attendant, barista, or waitress, serving the public is not always so easy! Our verse for today helps anyone who finds themselves serving. We are to serve with all our heart. It seems an impossible task. Serving without a salary or tips would absolutely come from the heart out of love and concern. Serving someone who could in no way repay us is service that is heartfelt. The Lord sees it and the Lord will one day reward that act of selflessness. Service to other family members is often the service least valued. Mundane chores and mindless routine can rob the joy of service pretty quickly. When the ones we are serving show no appreciation, it is difficult to serve wholeheartedly. We end up serving only halfheartedly out of obligation. The only way to engage all of my heart is to direct my service to my Lord and Master. When I turn my thoughts toward Him and do that chore as if it were for Him, everything changes. My attitude softens, the tension disappears, and suddenly the burden feels lighter! It is a privilege to serve You, Lord. May my service today be wholeheartedly for You. Categories: Holiness, Service | Permalink. Scripture for Today: Psalm 36:5 “Your love, Lord, reaches to the heavens, Your faithfulness to the skies. I have had the privilege of living for decades with fabulous French cathedrals practically in my back yard. I have seen so much ornate architecture in my years in Europe that the wonder and grandeur of their cathedrals almost seem commonplace. But there is something about the simplicity of a white steeple on a New England chapel that touches my heart! The steeple draws the eye up toward heaven as if it were a pointing finger. Can anything rival the sky above? 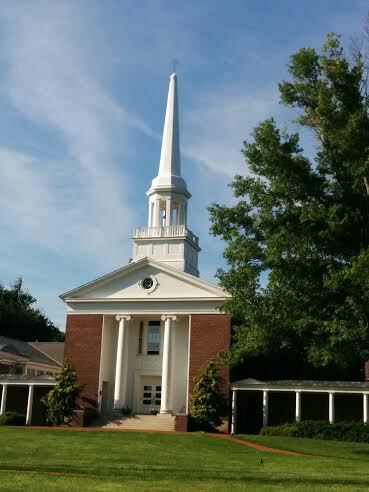 Our verse for today draws our gaze upward, just like that simple steeple. The heavens not only “declare the glory of God” but they also declare the love and faithfulness of the Lord. Its vast expanse reminds me of how tiny and insignificant I am compared to how majestic He is! His love and faithfulness are as big as that vast expanse of sky. The phrase, “the sky’s the limit,” does not apply here! God IS love and there is no limit. He is faithful and true to His character. His yes is always yes and His promises sure. His eternal nature makes His attributes eternal as well. One cannot exhaust His love or faithfulness. Our infidelities and failures will never change who He is. He is faithful to who He is and His love will never fail. Looking up to the heavens reminds me. Too often I am distracted by looking down. All I can see sometimes is my own little world of problems and I miss the bigger picture. The eternal perspective escapes me. The steeple lifts my gaze to where it belongs! Lord, may the skies be a reminder today of Your love and faithfulness to me! Categories: Faithfulness, God's Love | Permalink. 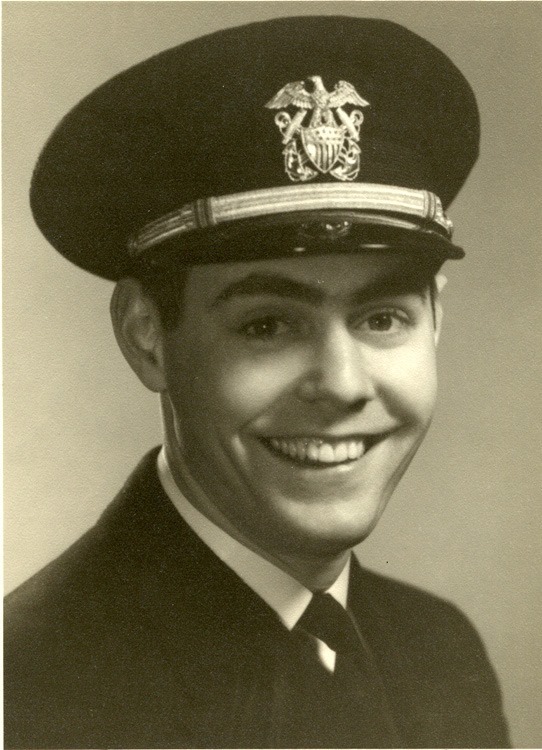 This is my first Father’s Day without my Dad. He lived a full rich and lovely life, but even at age 92 it was too soon for him to go. Knowing that he is with his beloved Savior makes the separation easier. It is for just a short time, but I am used to having him here. I still say, “Mom and Dad,” as if he were still with us. It has been a bit difficult to forego the Father’s Day card for him this year. Our verse for today describes the special relationship a believer enjoys with his Heavenly Father. We can refer to Him as, “Dad.” The relationship is meant to be that close and intimate. It is not a relationship filled with mindless obligation and rules. We do not fear Him as a slave fears a master. There is awe, respect and obedience but because of Christ, the fear of wrath and condemnation is no longer there! Because of Christ, we are part of the family! How amazing that He chose me to be part of this family. I certainly was not born into it! None of us were. We had to be adopted to be in this heavenly family. Why on earth He chose me is beyond understanding. I was an undeserving rebel. Yet, my Father in His grace initiated the entire process. Having a Father who is God is the best kind of Father. His care is perfect and everlasting! His love is unconditional and complete. His presence and comfort never fail! Thank you Lord, that I can celebrate You as my Father every day! Categories: Faithfulness, God's Love, Grace and Forgiveness, Self Image | Permalink.